Chinese radish, also known as winter radish, are an excellent and flavoursome salad crop which can be harvested right up until Christmas time. Typically the roots are eaten raw, but they can also be cooked in soups. cakes pickles and sauces. The fast-growing sprouts can also be washed and used in salads and stirfries. 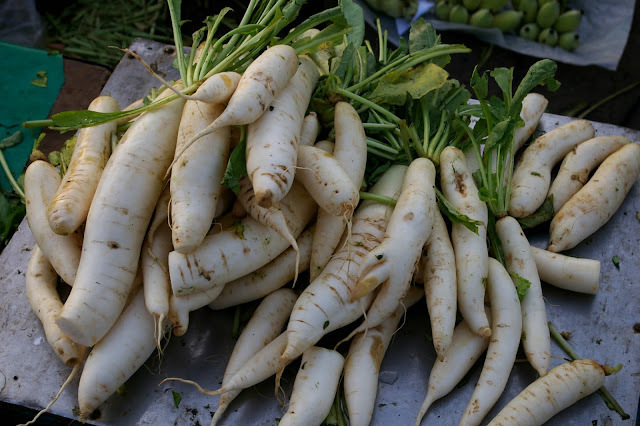 Chinese radish prefer cool temperatures and unlike most varieties of radish (which can grow very quickly), they need 60-70 days to fully mature. This means direct sowing winter radish seeds outside from April to July. For successive cropping, re-sow every two weeks. You will require loose, free-draining soil that has been enriched with humus-rich, garden compost. Avoid any fertilizers or compost that are high in nitrogen. Full sun will be preferable but you can still produce a crop in semi-shade. To reduce the incidence of clubroot ensure that the soil pH is between 5.8 and 6.8. 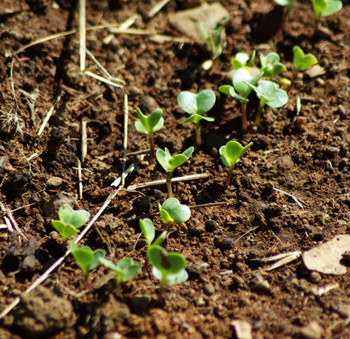 Sow winter radish seeds thinly at a depth of ½" in drills 6" apart. When the seedlings emerge, and large enough to handle, they can be thinned out to 2" apart. Hand weed regularly to prevent competition from weeds. 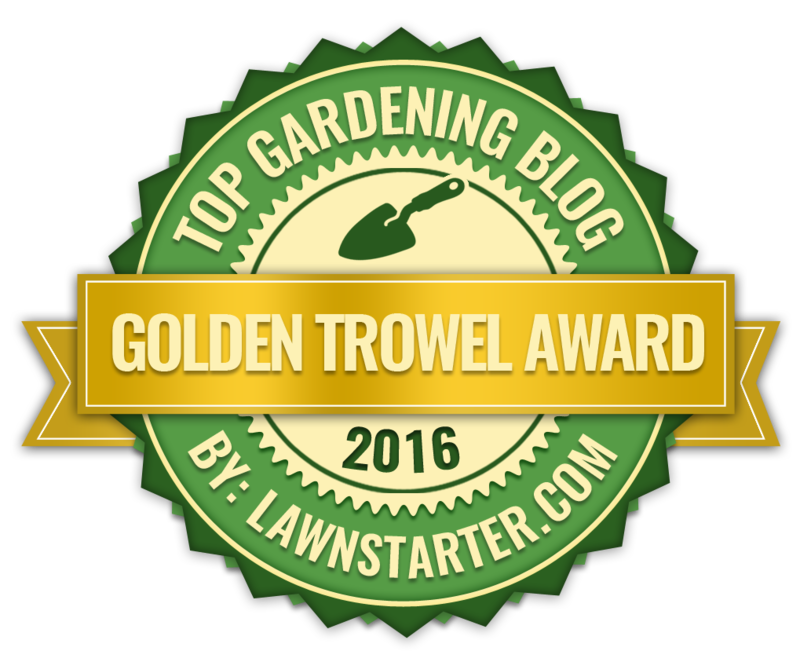 Do not use metal implements for weeding as these can easily damage the swelling roots. Avoid your winter radishes from running to seed by keeping them cool and well watered, particularly during hot, dry weather. Do not water excessively as this will encourage leaf growth at the expense of root development. As the cold weather arrives, protect your crop from frost damage by covering them with cloches. Winter radishes can stay in the ground being lifted as they are need. This can continue up until Christmas time when to prevent them from being damaged by freezing temperature they can all be lifted and stored. Loosen the soil around each radish before pulling them out of the ground by their leaves. Be aware that even when stored in a cool, dry environment they will only last for a few weeks, and if left in the ground, the roots become woody and unpalatable.